EA Protrader BBand is a automate and semi-automate Expert Advisor based on candlestick charts. 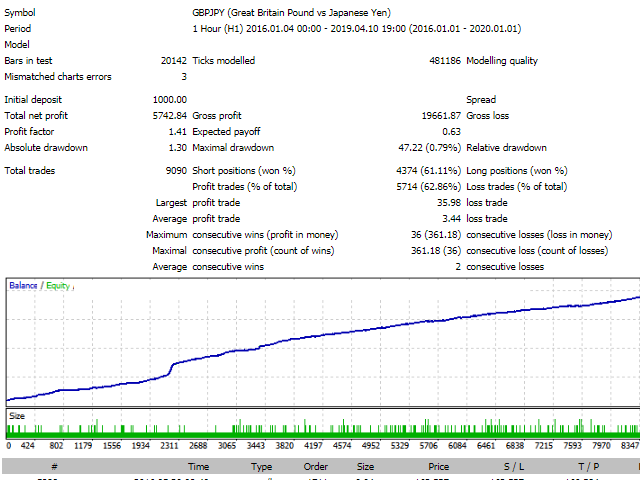 This EA was backtested with EURUSD, USDJPY, GBPUSD, GBPJPY in time frame H1. - EA open buy and sell orders based on levels of candlestick chart with the first volume is 0.01 if this order touch stop loss EA continue open new order with new lot size until taking profit. Max volume is 0.1 lot. Correspondence of the seller is the worst.